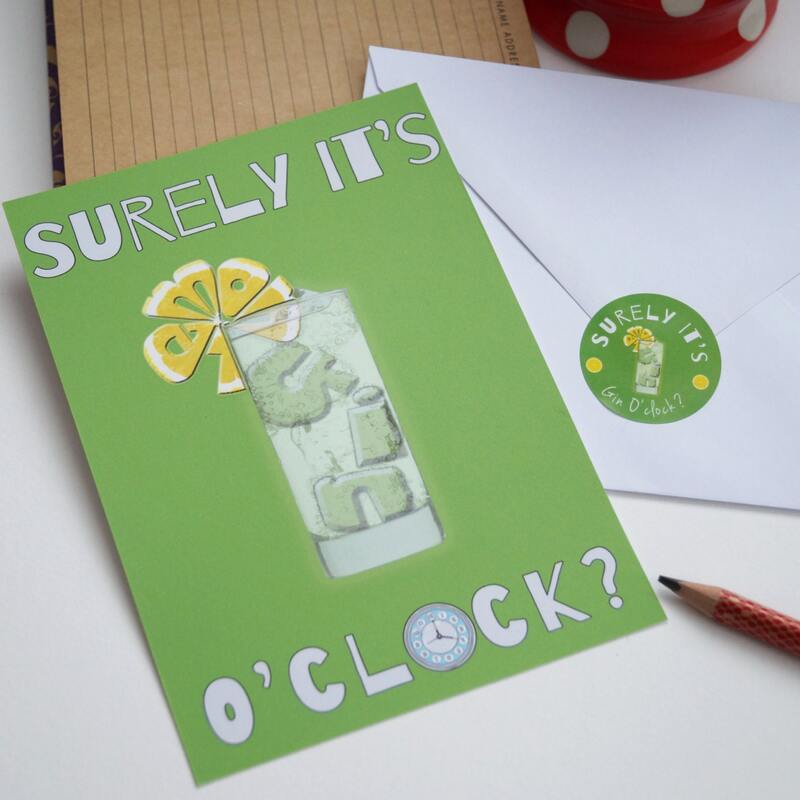 A luxurious, oversized postcard with a quirky 'Gin O'clock' design, incorporating the words 'gin' and 'lemon'. Comes with envelope and matching sticker. 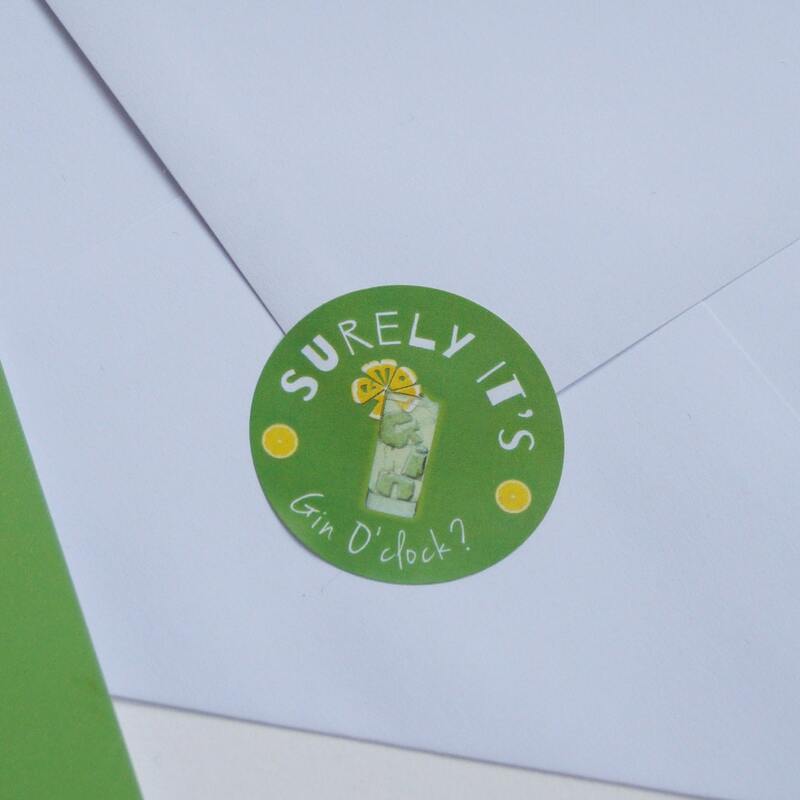 The perfect card for a lover of gin...with the words 'Surely it's Gin O'clock' on the card and matching sticker. These over-sized postcards are printed on smooth, matt 400gsm card for a really luxurious, sturdy feel. Printed at just slightly over 5x7" they are designed to be perfect for framing in readily available 'off the shelf' frames, so the recipient could keep the picture for ever. 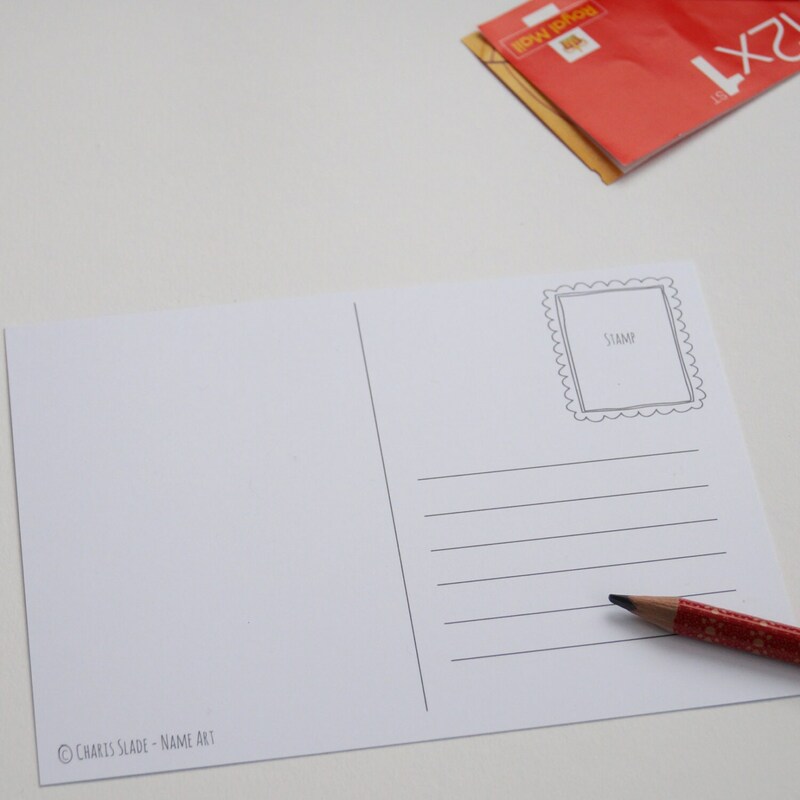 To make the postcard even more special, it comes with a matching sticker which you could put on the envelope seal or enclose for the recipient to use. Please use the drop down box to select whether you wish to order a single postcard, envelope and sticker, or a set of 4 for just £5 more. The backs of the postcards have a traditional postcard layout, so if you wish to discard the envelope, you can send it as it is.